Green office furniture is sweeping offices everywhere as environmentally conscious companies are finding new ways to use eco-friendly products, starting with their modern office furniture. 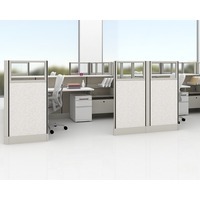 Virtually any type of modern office furniture—such as modular office furniture and modern workstations—can be considered to be green office furniture if it meets those criteria. Green Office Furniture Tip #1: Go green, save some green. Green office furniture typically costs 25% to 50% less than brand-new office furniture. And you won’t be just saving money—you’ll also be helping the environment. Three million tons of office furniture—most of which is not biodegradable—ends up in landfills each year, so you’ll be doing your part to reduce waste. Green Office Furniture Tip #2: Walk the walk.Recycled office furniture is one way that business owners can exercise their environmental conscience and showcase their company values. Buying recycled office furniture means that no new or finite resources have been used to make the furniture or to help in its construction. For example, buying a used modular workstation protects trees from being cut down, reduces the energy it would take to create the workstation in a factory, and saves fuel that would be necessary to ship the workstation from its manufacturer to the store. And you don’t have to forego style to go green. Eco-friendly remodeling and design projects are eligible for prestigious green certifications like LEED(Leadership in Energy and Environmental Design) that let your clients and competitors know you blaze the trails when it comes to progress. Green Office Furniture Tip #3: Improve office air quality. Recycled modular office furniture made from organic fabrics and quality materials improve the air quality around the office. 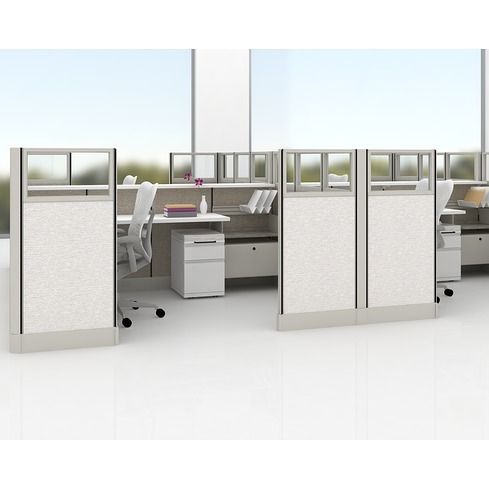 Modern modular office furniture built without volatile organic compound (VOC) adhesives and coatings can help protect the air quality’s integrity. Green Office Furniture Tip #4: Stand the test of time. Green office furniture and recycled office furniture can be built to withstand many more years of use than the average piece of furniture. On average, refurbished office furniture has only been used for ten years—meaning there’s plenty of life left in the pieces before they are ever reinforced and redesigned. Higher quality pieces made from the sturdier materials like bamboo last for years, promoting a better service life and provide a better return on the investment.